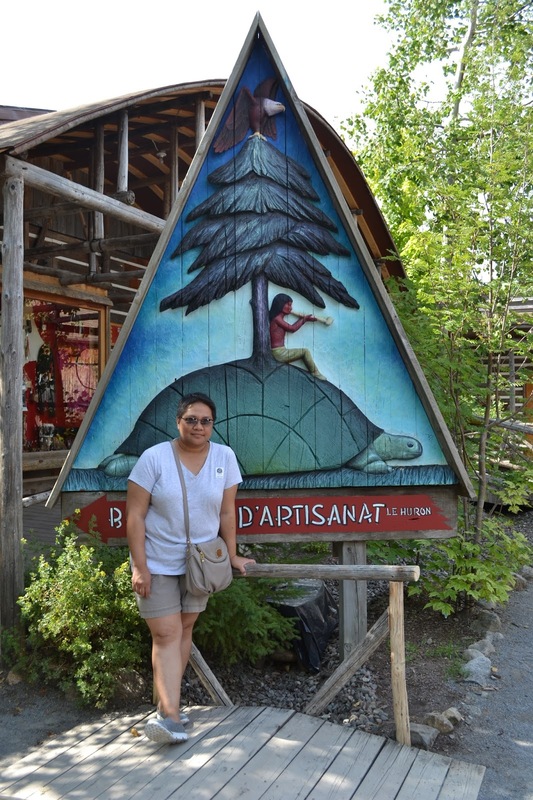 To divert from my shingles topic, here's a late post about my travel to Quebec in 2014. When I was doing a search for places to visit in Quebec, Wendake came out as one of the places to visit. A painting of what was life like back then. 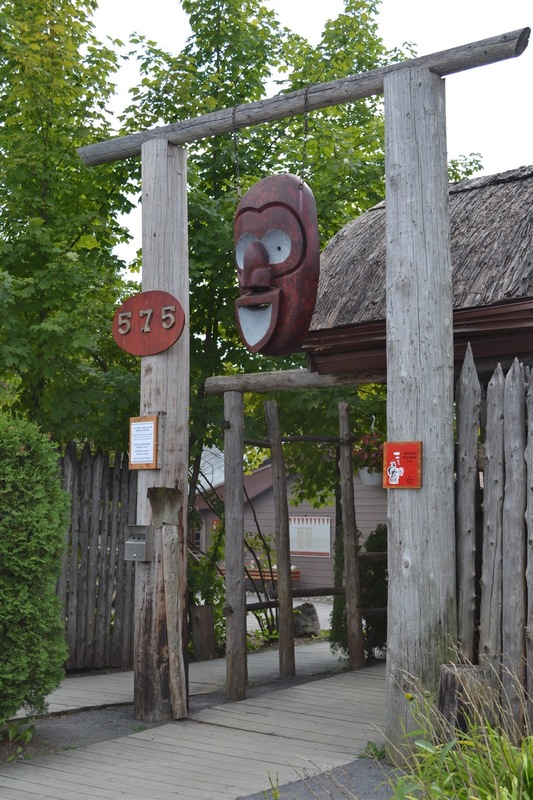 A mask hangs at the entrance. 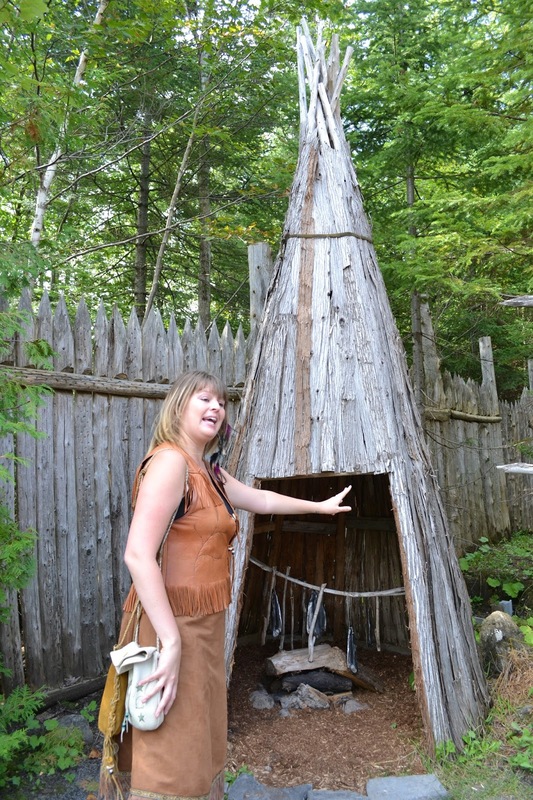 Inside the Huron Wendat long house. Clothes and all types of fur. One of the performers taking a break. A welcome dance performed by the kids at the site. Inuksuks which are very useful when you're lost. They are used for directions. She is Big Bear, and she was our guide. This is where they showed us how they build their canoes. My hair was just starting to grow back when this photo was taken. The triangular sign there shows a turtle and on top of it is a tree and a man. The Huron-Wendat nation believes the the Earth is the turtle, and when the Earth shakes, it means the turtle is moving. This is the front of the long house. I learned a lot while visiting this place, and I highly recommend it if you're visiting the area. There's also a museum there which we didn't get to visit because we were short of time. I would certainly love to visit the museum when I get the chance to visit again. In the meantime, work is becoming frustratingly challenging. One colleague is leaving, and I'm a little upset because I work great with her. I am also hoping we'd hire some people soon because we're short of three people. I feel like we're crippled at times. Oh well...life can be challenging but we have to keep moving forward. How was your Monday? I miss the long vacations there during the Holy Week. Dito hindi masyadong ino-observe. I love the photos and the place. So much textures!! I wish one day I could visit that. Our Monday was fine, hectic Mom stuff for me and the heat here in Cambodia is punishing. Thank God, were temporarily living right beside a huge mall, so I just hop over there and get free aircon. Yes, I've been trying to work on the look. It seems that I've forgotten my html coding :(. What an interesting place and such lovely shots. 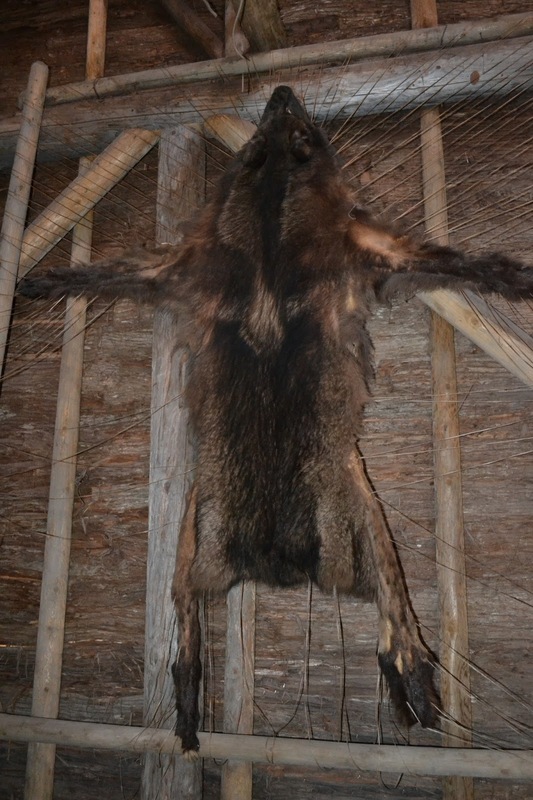 Oh yes, it felt a bit creepy being surrounded by all the pelts but I convinced myself that, that was their way-of-life back then. 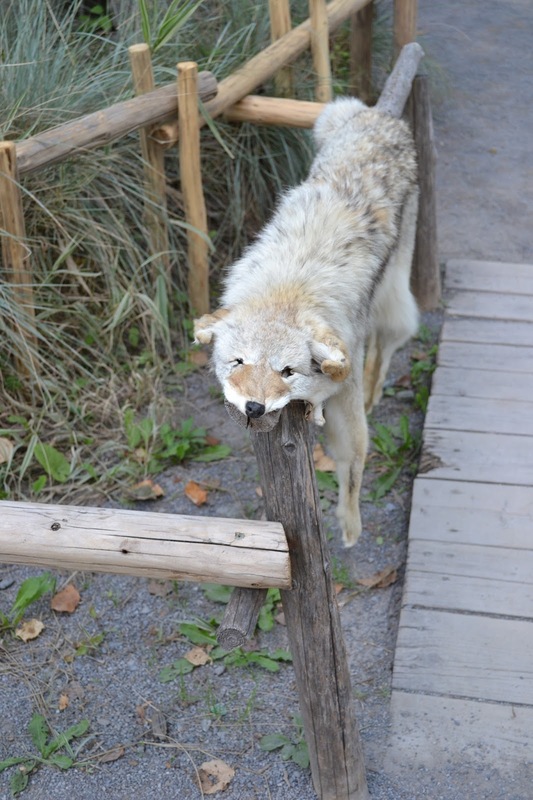 There was a lot of different types of fur there. My Monday had been a day of reminiscing and packing things up. I will be moving back home and will be leaving my room of two years. My room of solace. Quite a bit hard to move on but I have to. Still have to work on finding a new job after the fellowship just ended. Happy week ahead of you! Hi Yccos, I understand how you feel, but do cheer up, a new chapter is about to begin for you. I think you'll do just fine in your next endeavor. What a fascinating place. Looks like it has been very well put together. Lovely photo of you and the statues. Thank you. It's a great place to visit. I'd love to go see their museum when I go back. It looks like a wonderful place to visit. I imagine you must have visited there last summer since it isn't quite so nice in Quebec just yet. Spring comes a bit later there than where I live. The inside of the longhouse looks very much like the inside of buildings I saw of Huron people on the movie "Black Robe". Yes, these photos were taken in August. It was nice weather when we were there. I find their culture and traditions fascinating.